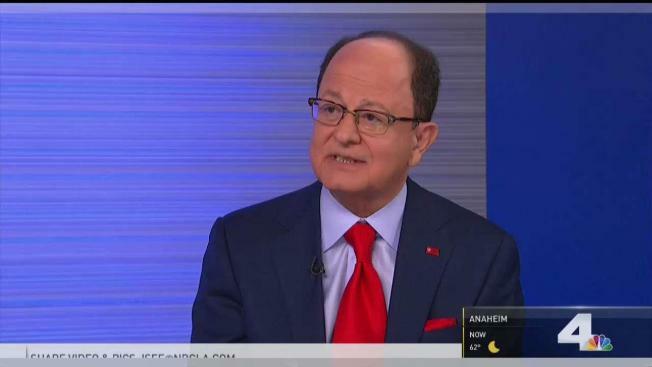 USC President Max Nikias called the scandal involving a former physician on campus "profoundly troubling"
The USC president has agreed to step down in the wake of sexual assault allegations against a campus doctor, according to the school. USC President Max Nikias will step down. He faced pressure to resign following accusations of sexual misconduct against former gynecologist George Tyndall at the school's student health center. In a statement, the university's trustees, which govern the college, said they would move quickly on finding a new president, but gave no timeline. "We appreciate the voices of the many members of the university community who have expressed indignation from the harm inflicted on our students by Dr. Tyndall," the statement said. "We recognize the need for change and are committed to a stable transition. Please know that our actions will be swift and thorough, but we ask for your patience as we manage a complex process with due diligence." The move comes after four former University of Southern California students sued the school and Tyndall who they accuse of molesting patients over decades as a "serial sexual predator," according to a court filing Monday. Tyndall routinely made crude comments, took inappropriate photographs and forced the plaintiffs to strip naked and groped them under the guise of medical treatment for his "sexual gratification," the lawsuit said. Tyndall, who worked at a USC clinic for 30 years, denied wrongdoing in interviews with The Los Angeles Times. John Manly, an attorney for the victims, said in a statement that the resignation is "the first step in a long process of healing for the victims of Dr. Tyndall." "It occurred because students faculty and alumni pressured Board of Trustees to do the right thing," the statement said. "It is our hope that their pressure will continue until the University reforms the culture which has enabled sexual abuse and holds all of the enablers accountable so this will never happen again."